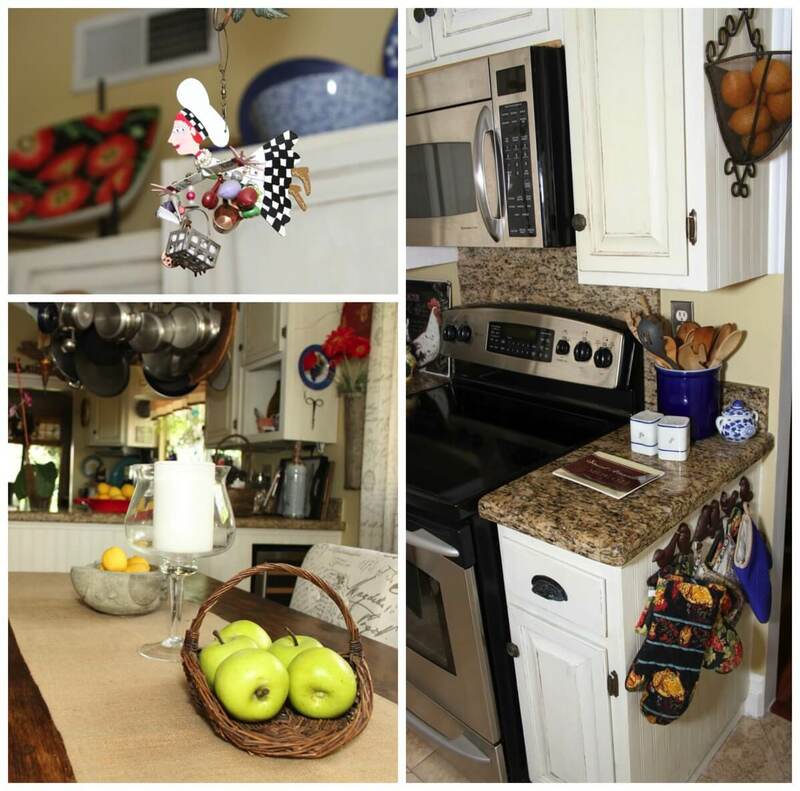 I was able to photograph a beautiful home that has a rustic French cottage style. 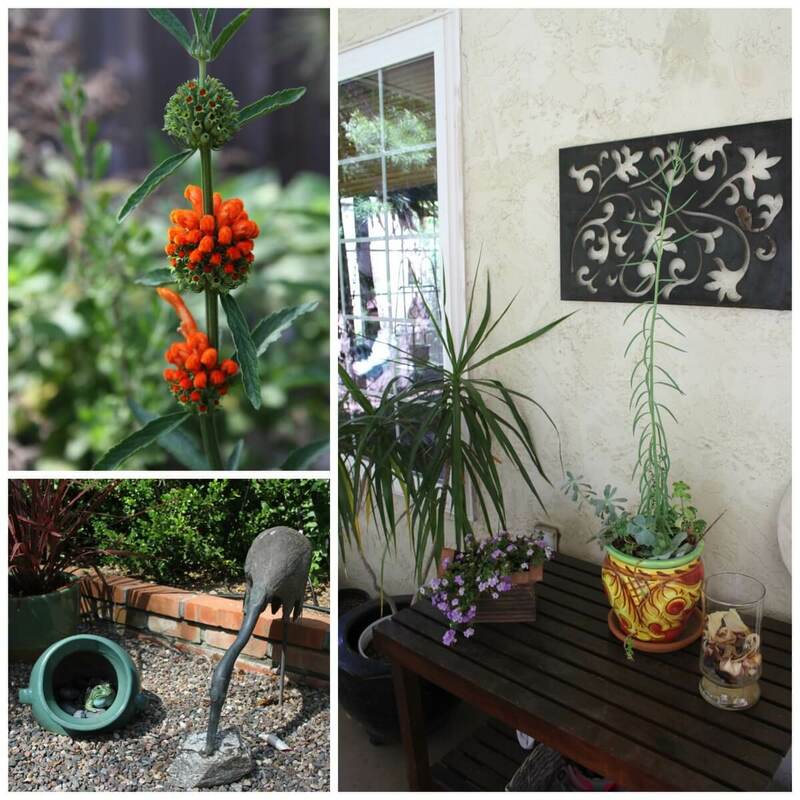 The owner asked to remain anonymous, but was kind enough to allow us in her home and garden to capture some inspiring ideas we can put to use in our own homes. 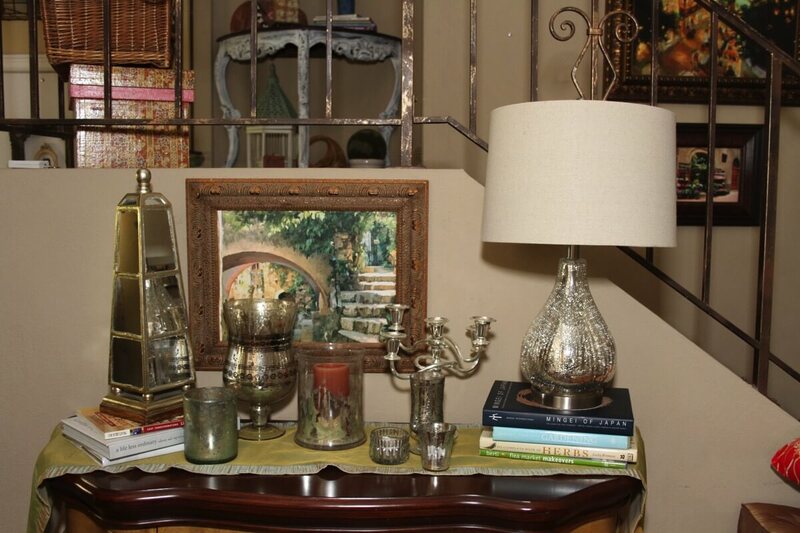 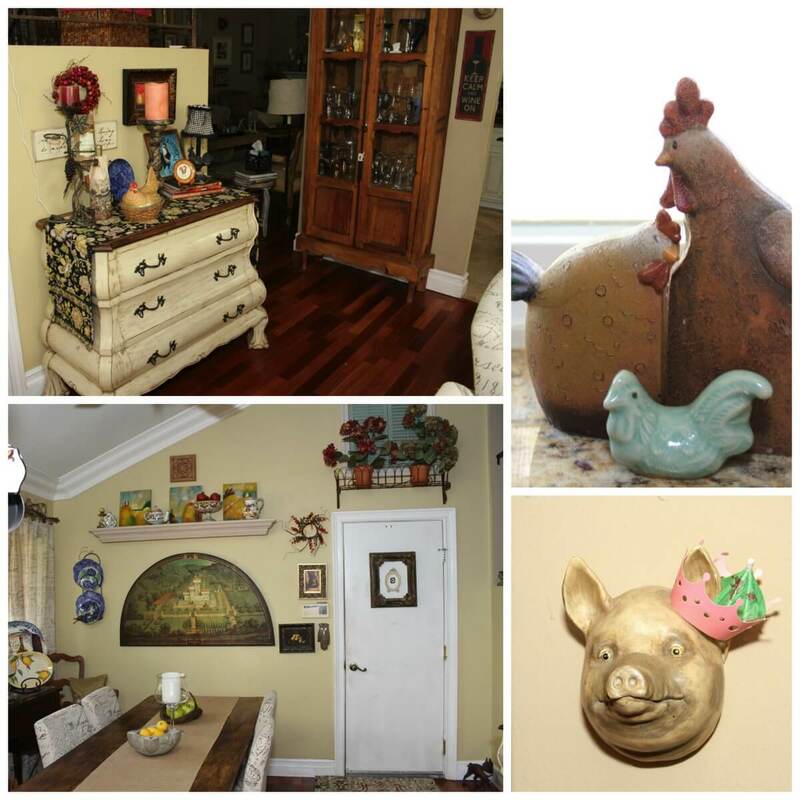 Her home has a very handmade, thrift store antique style about it. 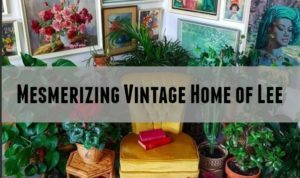 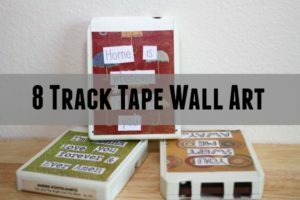 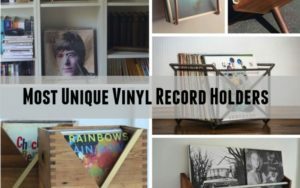 Mainly because many of the items she decorates with are items she found or received while traveling, took art or picture frames in from friends that were getting rid of them and also has collected so many different and eclectic items from over many years. 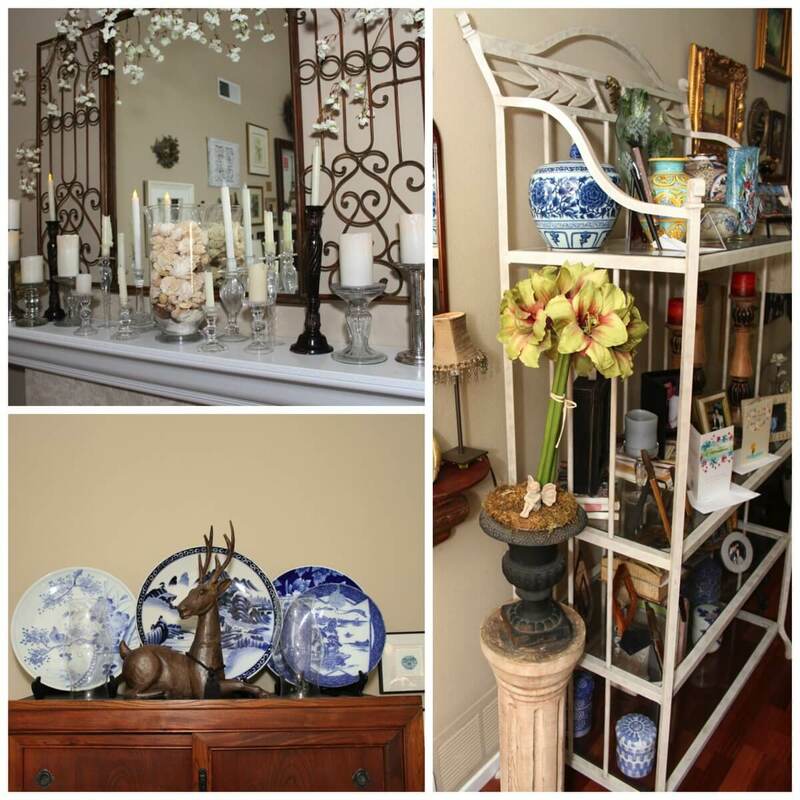 I hope you enjoy the photos below and grab some inspiration from her design style. 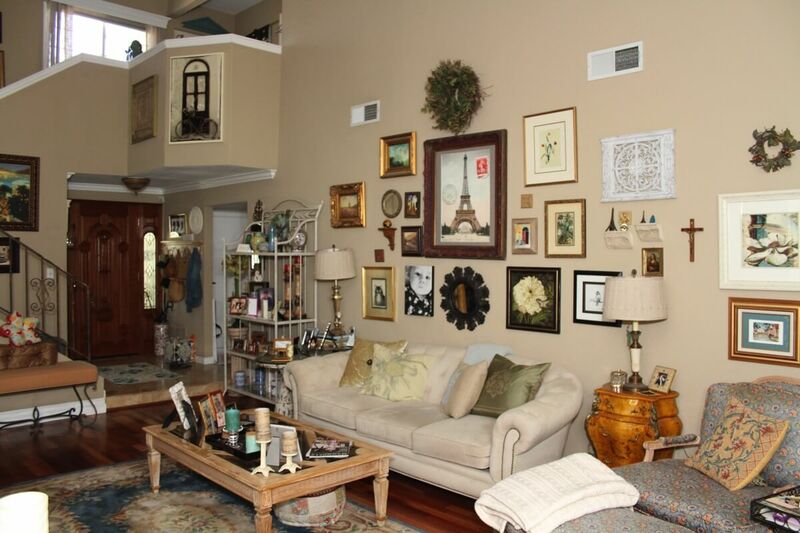 In her living room she has breathtaking high ceilings that really allow for a wide and tall gallery wall. 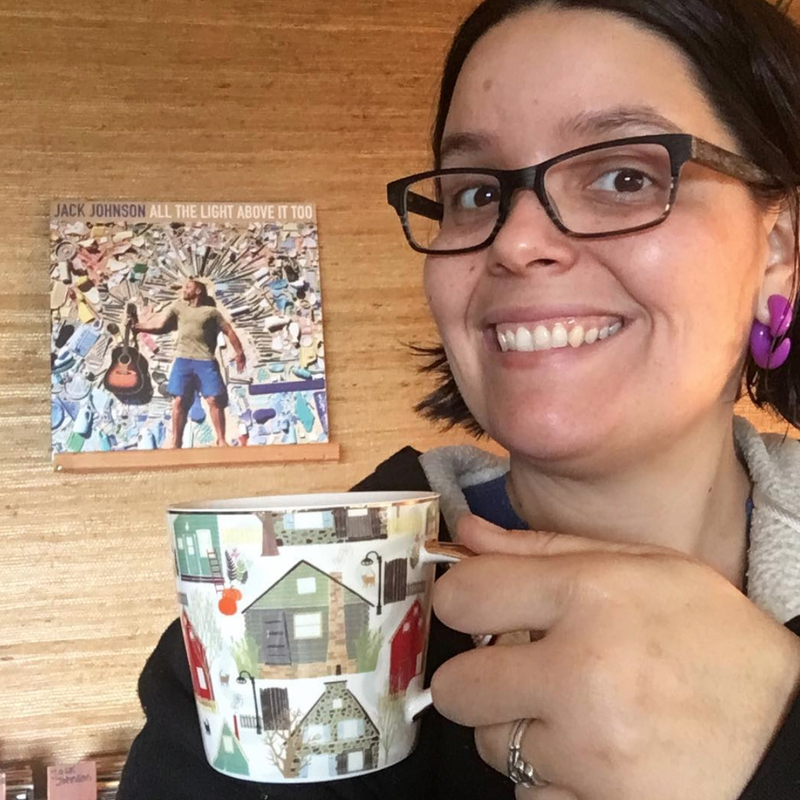 She has quit a few pieces of art and china from Japan, she and her family had lived over there for a few years and brought some of the love for their culture home with them to the United States. 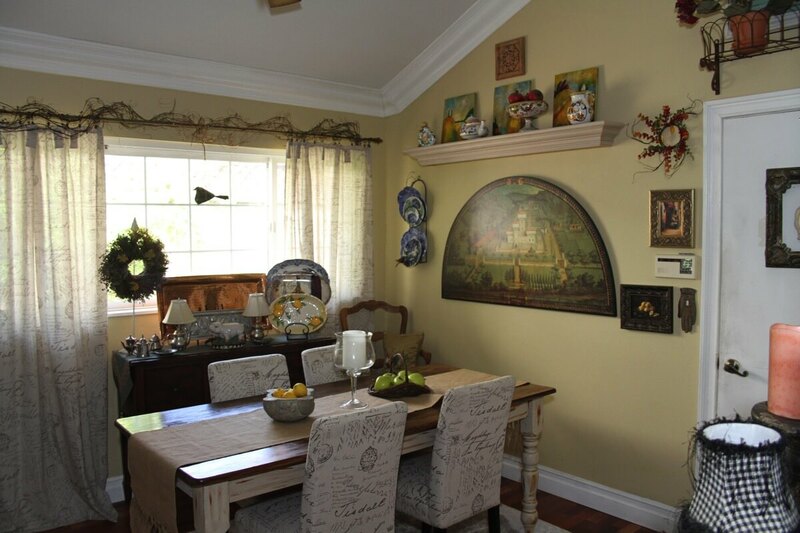 Her dining area and kitchen reminds me of a country cottage with a hint of the French country side, it’s very whimsical and cozy. 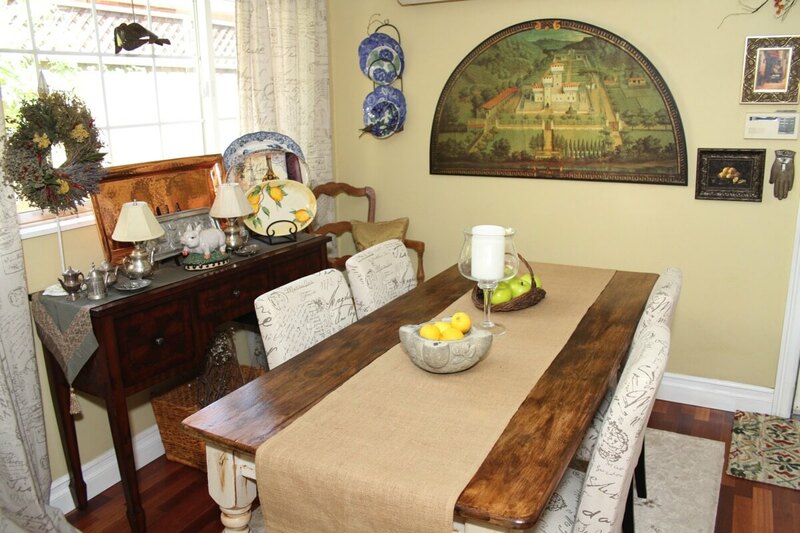 She recently painted her old table to make give it the distressed white pain look on the legs and did a beautiful darker stain on the top of the table. 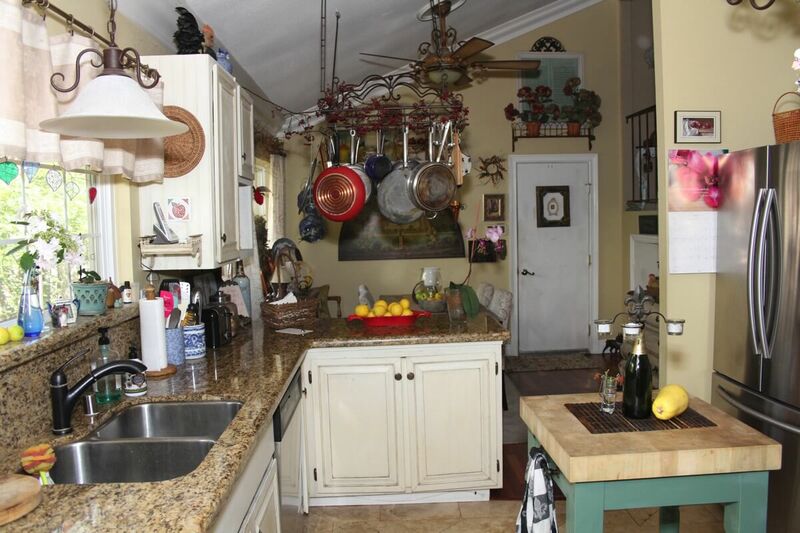 She does quit a bit of entertaining so often times the dinning room and kitchen is where everyone is gathered as the food is prepared and the wine is flowing. 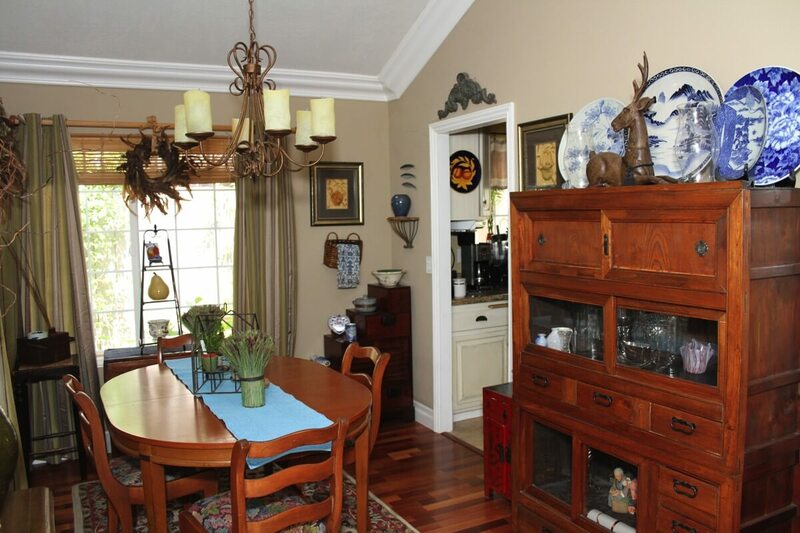 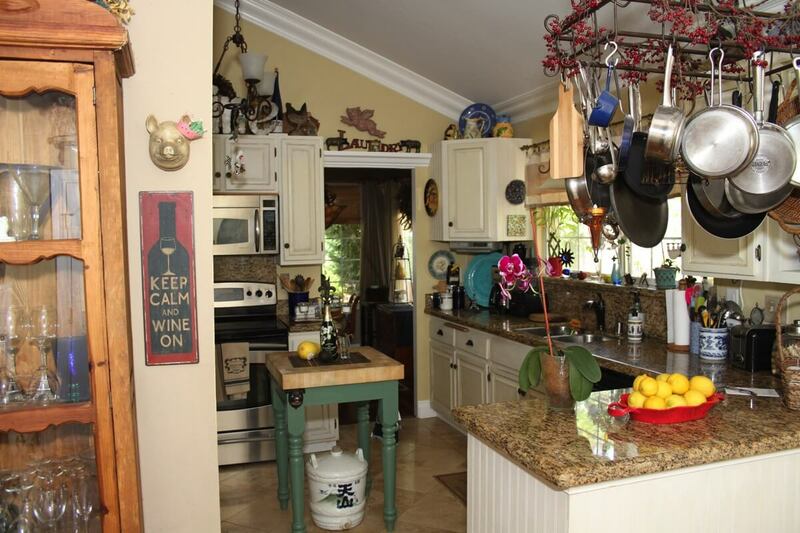 Each nook and cranny in her kitchen has fun artwork, knick knacks, or wine related items. 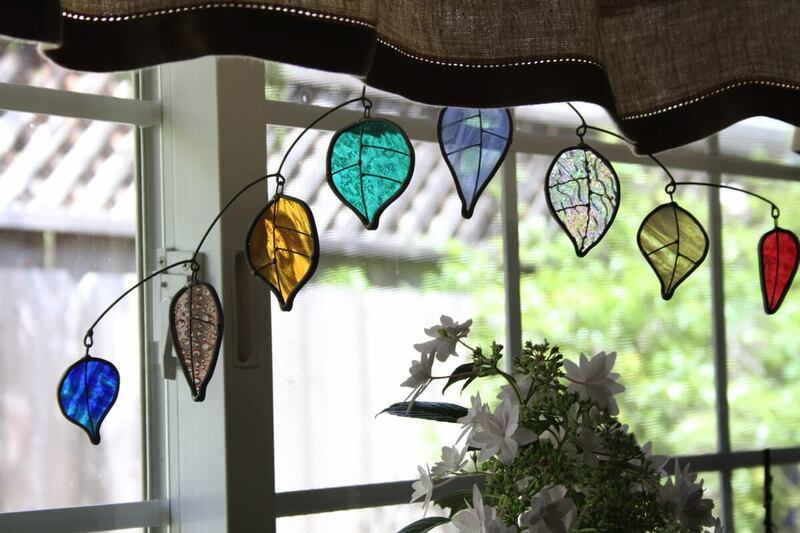 I love her colorful and fun leaf sun catcher chime hanging in her kitchen sink window, its a wonderful pop of color. 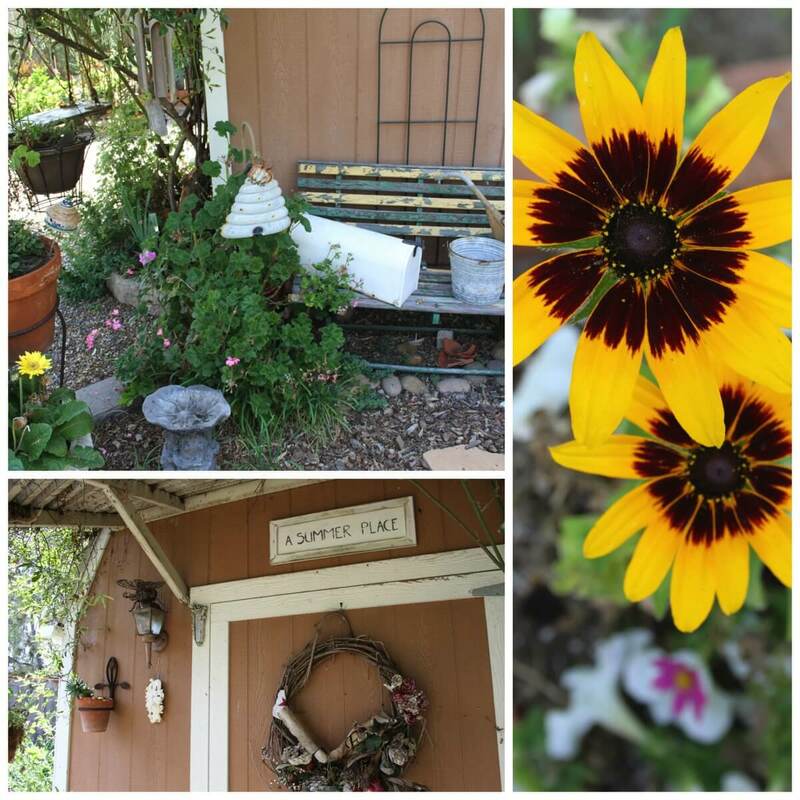 She also tends to place fresh cut flowers from her garden on the window sill, its always enjoyable to see new flowers there each season. 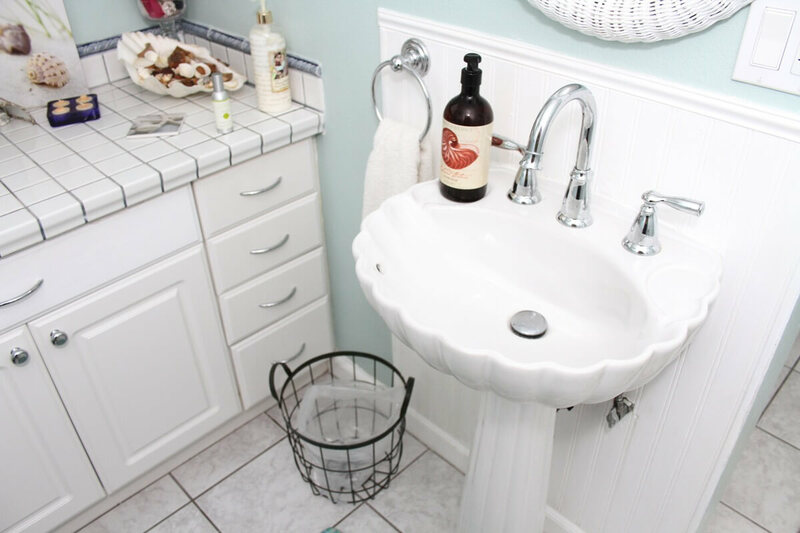 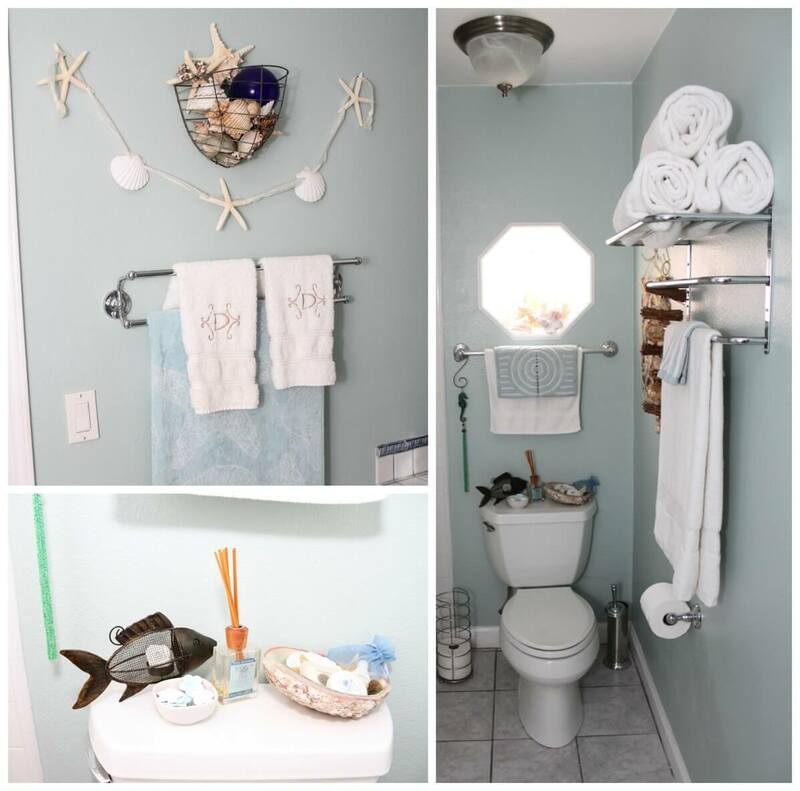 Being a seashell collector myself, I fell in love with her bathroom, to be honest it is without a doubt my favorite room in the entire house! 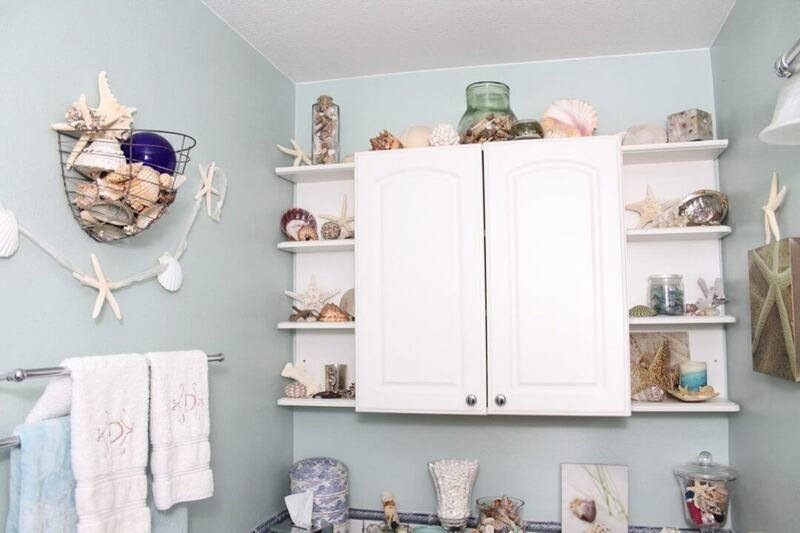 She was able to display a large amount of seashells and ocean themed decor while making the space feel inviting and not crowded at all, its very welcoming, she worked with the space very well by placing the display shelves between the cabinet as well as using the hanging basket and wall shelving, it’s a perfect layout and one of the best restroom designs I have ever seen. 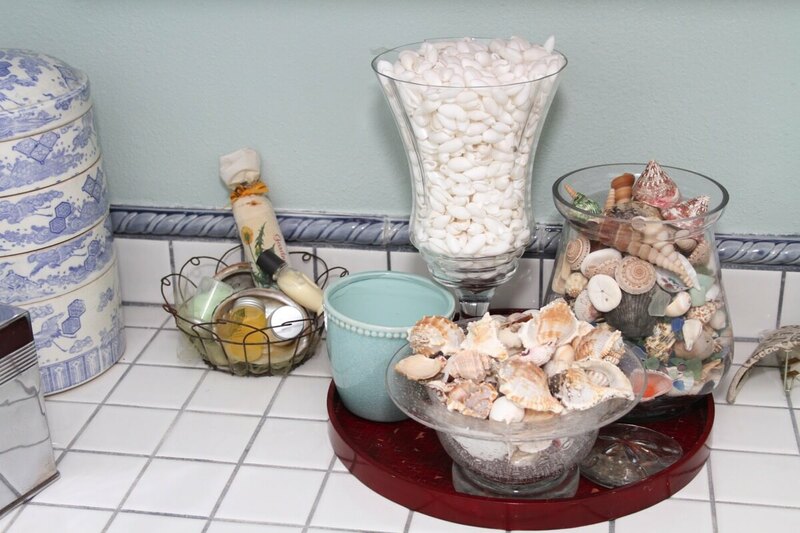 The use of the jars allows for you to display a large amount of the smaller shells while maintaining an organized look. 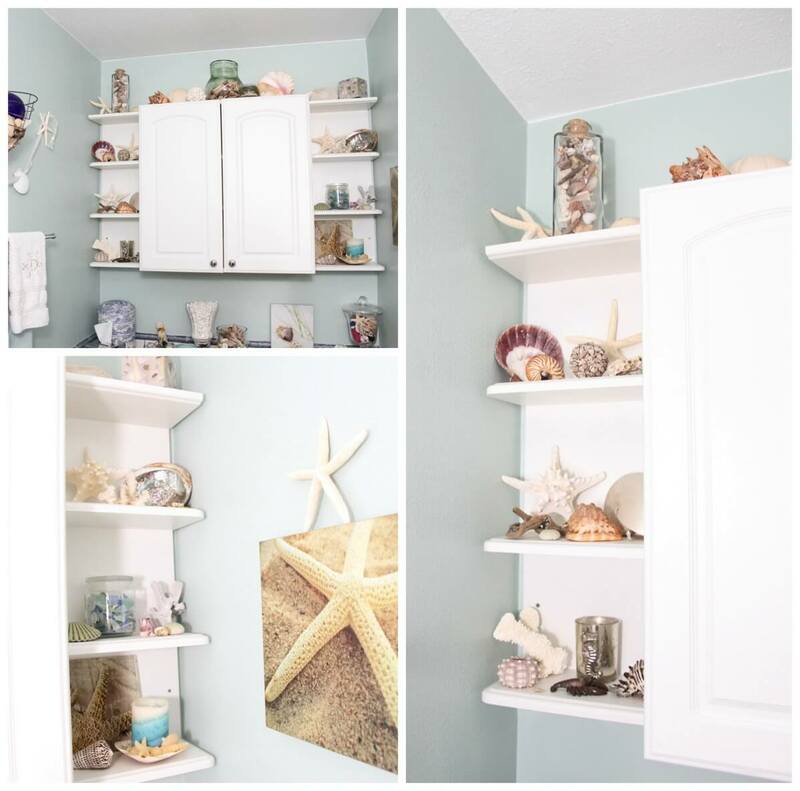 Jars are a wonderful idea for displaying collections of any kind, from shells to wine corks, small toys and concert tickets. 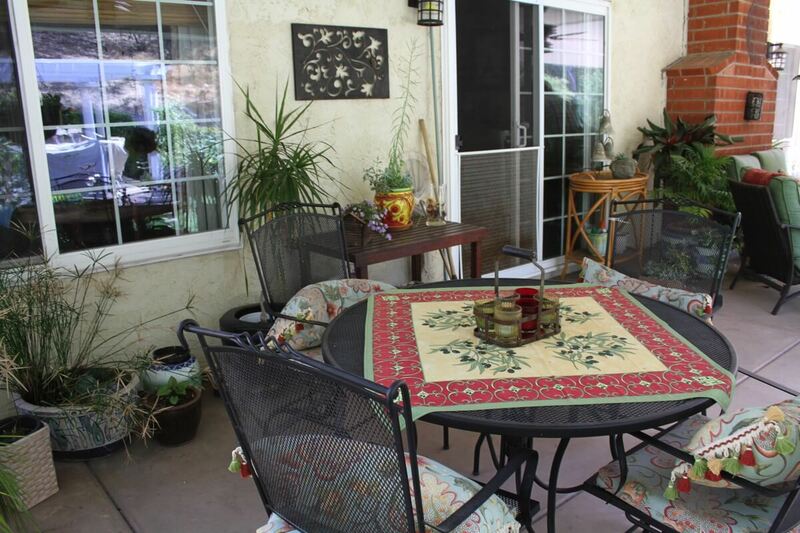 Her patio area has a large amount of seating so everyone can be comfortable while socializing, and they have the ability to split into two different groups for conversation. 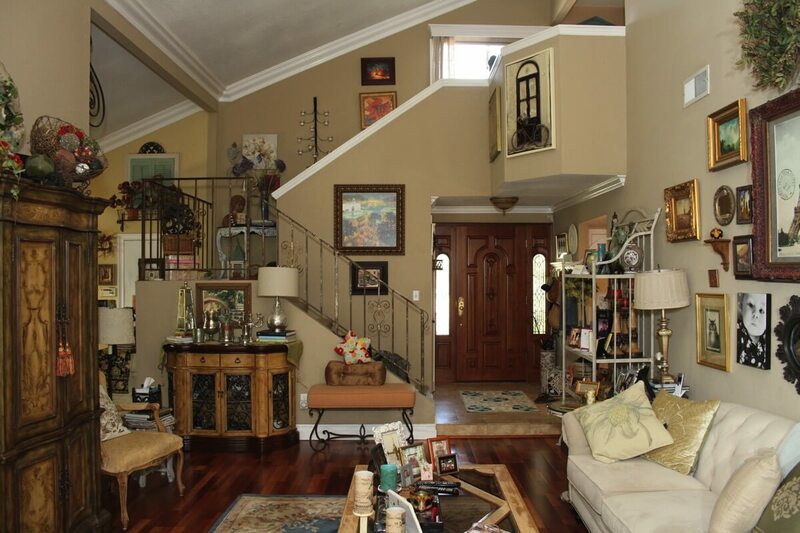 The other thing I loved was the fact that she has a ceiling fan up, she said it really helps keep the flys away when she has food and drink outside while entertaining parties. 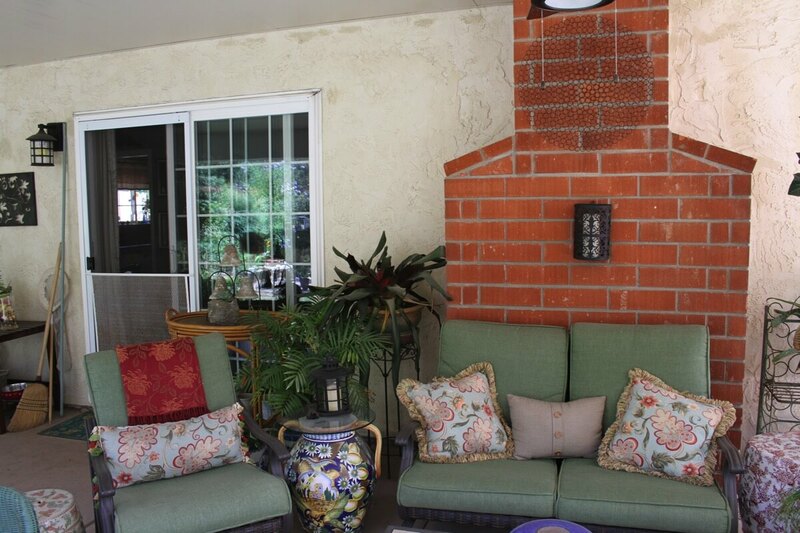 Keeping the fans going with circulating air really stops majority of the flys from bothering the guests. 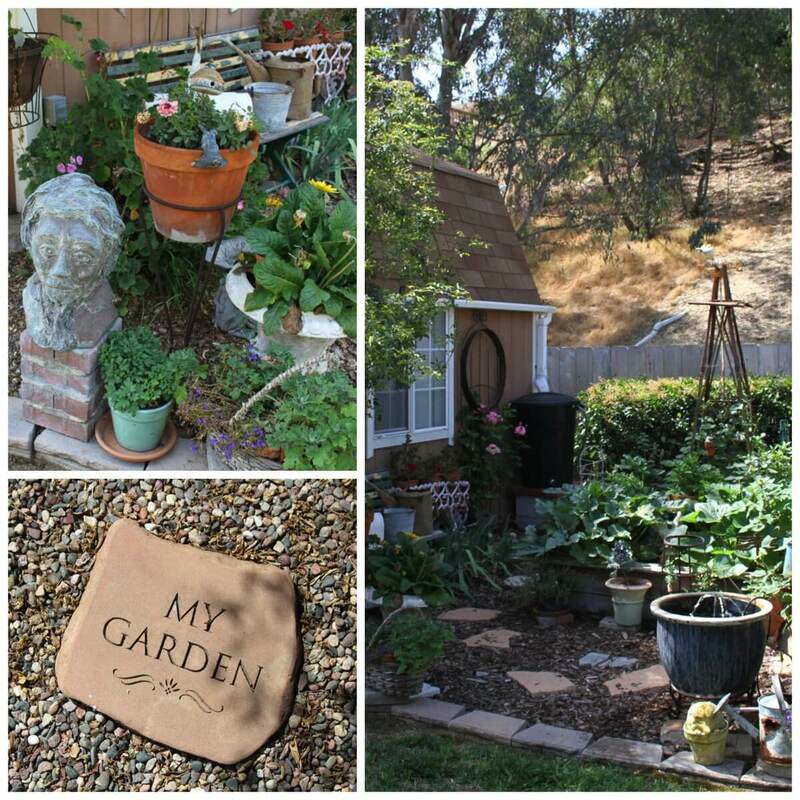 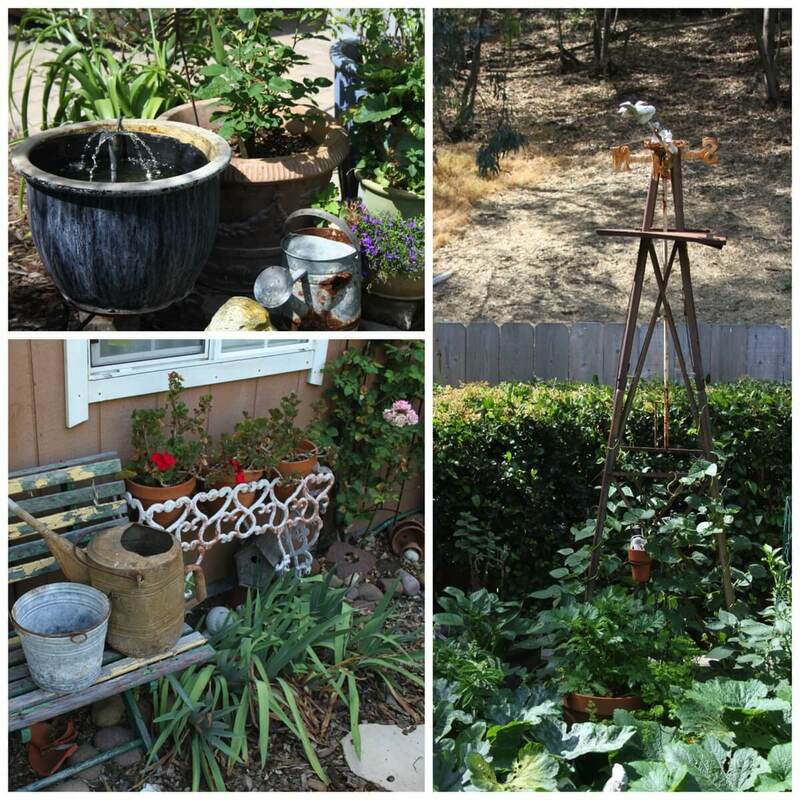 This is the lovey hill side view you have of her herb and veggie garden from her patio area. 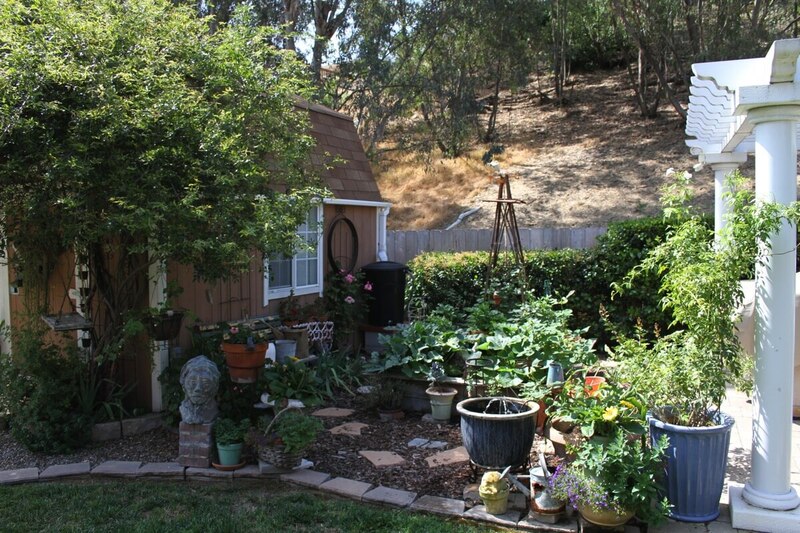 The back side of her yard is a steep hillside covered with eucalyptus trees so for the most part its nice, quiet and relaxing.